How will Rd. 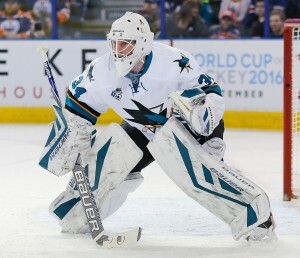 1 play out for the San Jose Sharks in their series against the Los Angeles Kings? I don’t know. Sports leagues have often tried to achieve parity and well, the NHL is doing better than every other league in that regard. At the top of the Western Conference, parity is winning the day. The Sharks and Kings have plenty of history. The media will cover the history because it remains relevant. These teams have seen plenty of each other in the playoffs in recent seasons. The one consideration that Kings fans enjoy and Shark fans fear is this: can the Sharks stay mentally strong when things do not go their way? In life, we all meet people with more confidence than competence. The Kings have both. They have plenty of confidence and they have proven their competence. The Kings are the team that can win when nine things go wrong and one goes right. The Sharks are the team that finds a way to leave the playoffs when nine things go right but one goes wrong. The players can do their best to ignore the demons of playoffs past. But like an injury, you can’t wish it away. It is there until you are fully healed. In this case, healing requires winning. The Sharks have the worst playoff story of the past several years, but that did not stop them from tempting fate. The Sharks added the player who might have the second worst playoff story in recent years. Goalie James Reimer was in the nets for Toronto’s playoff series against Boston in 2013. Toronto held a 4-1 lead with under a dozen minutes to go in the third period of Game 7. Boston would score three goals to tie the game at 4-4 in regulation before winning the game and series in overtime. Though Reimer is not scheduled to start the series, he has playoff demons that will only be cured with success. Heading into the series, the Sharks have the advantage of being the healthier team, not a small advantage for playoffs often described as a battle of attrition. They might also be the more talented team. Though the Kings had the better overall record, the Shark had a stronger second half of the season. If the Sharks are to win, they can not afford to be the team where a few things go wrong, and so goes the series. They will have to deal with adversity, rise up and overcome it. They can not afford to be satisfied with a goal or a lead or a win. They need to stay strong and focused, in good moments and bad. Every minute, every game. If the Sharks can find their way out of the muck and into redemption, it will be because they not only kept their poise, but they found a way to take the small things and turn those into successes. 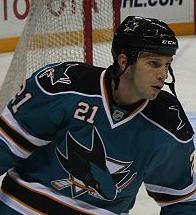 In a playoff series in April 2011, the Sharks won Game 4 against Los Angeles. Kings coach Terry Murray said the key to the game was Scott Nichol harassing Drew Doughty, leading to concurrent roughing penalties to the two players. The Sharks scored twice during the 4-on-4 play and would go on to win the game. It is that sort of seemingly minor moment that changed a game. In turn, that game gave the Sharks a 3-1 series lead. They would win in six games. Two minutes of 4-on-4 play should be no big deal, but if you cause the other team to lose their poise, different story. Nichol was a player who got eight minutes a night on the fourth line. Yet he rattled the opposing coach and their best defenseman. That is leverage. In 2011, the Sharks leveraged those moments to win a series. In their past two playoff series against Los Angeles, the Sharks have been the team the got rattled at key moments and the Kings have been the team that used that leverage to advance. A prime example came in Game 6 of the reverse sweep, a controversial call gave the Kings a go-ahead goal deep into the third period. It was a major break for the Kings, but the Sharks let it become game- and series-defining by losing their focus. Minutes later, a one-goal lead became a three-goal lead and the Sharks would not recover either that night nor for Game 7. In the last two playoff meetings, both seven-game series, the Kings found the moments, created the turning points and went on to victory. Fans know the highlights, from critical saves to stirring comebacks. But for the Sharks to find their footing, it has to be about limiting the damage when things go wrong and finding a way back. It may be a forecheck that leads to a penalty that leads to a critical power-play goal. It may be a hustle play to stop an odd-man rush. It might be clearing the crease after to prevent a juicy rebound from becoming a goal. The Sharks must leverage these smaller moments into larger impacts. For San Jose to get where it needs to get, they need Scott Nichol moments.